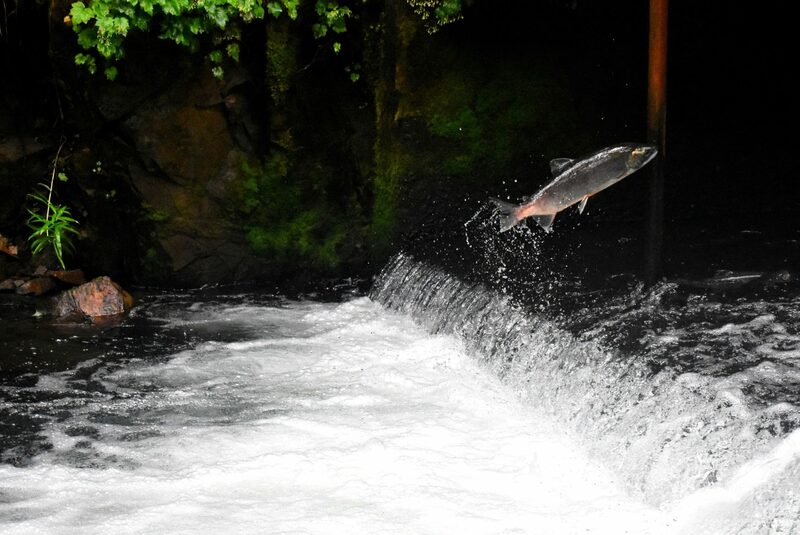 In spring, as the plant buds push up through the ground and the days get warmer and longer, the baby salmon fry hatch out of their eggs and start swimming and feeding. At this time, their food – phytoplankton – should also bloom. But due to climate change-induced warming, the fry of many fishes, such as salmon, are coming out earlier or later, as are the phytoplankton blooms, which can cause a mismatch between when the food is available and when the fry need it. 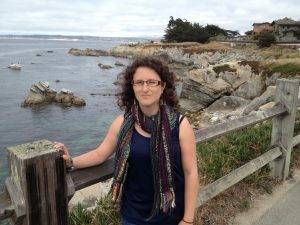 As part of her post-doctoral Nereus Program fellowship, Asch has been studying fisheries, plankton ecology, and climate. 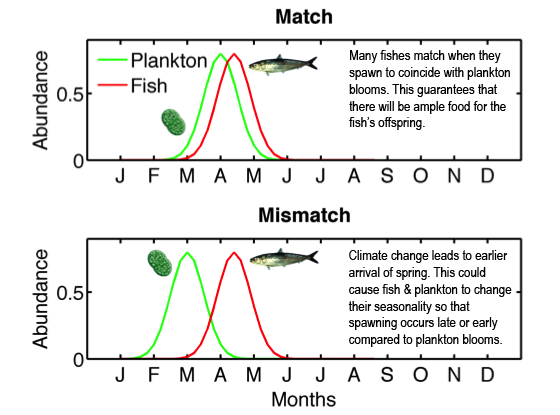 These differences in seasonal cycles could influence the productivity of fisheries and the availability of seafood. “If there are these mismatches between fish and their prey items, the ecosystem often has a decreased carrying capacity, meaning it can support fewer fish which then translates into less food for people,” says Asch. Asch ran the stats on her three-year fellowship with the Nereus Program – she’s published and submitted ten papers as a co-author, given 33 presentations, advised 13 undergraduate and graduate students, written four proposals, and traveled to eight countries. She also won an award for Best Early Career Presentation at the Third International Symposium on the Effects of Climate Change on the World’s Oceans. Asch will be moving on from her experiences at Nereus by joining East Carolina University as an Assistant Professor of Fisheries Biology.